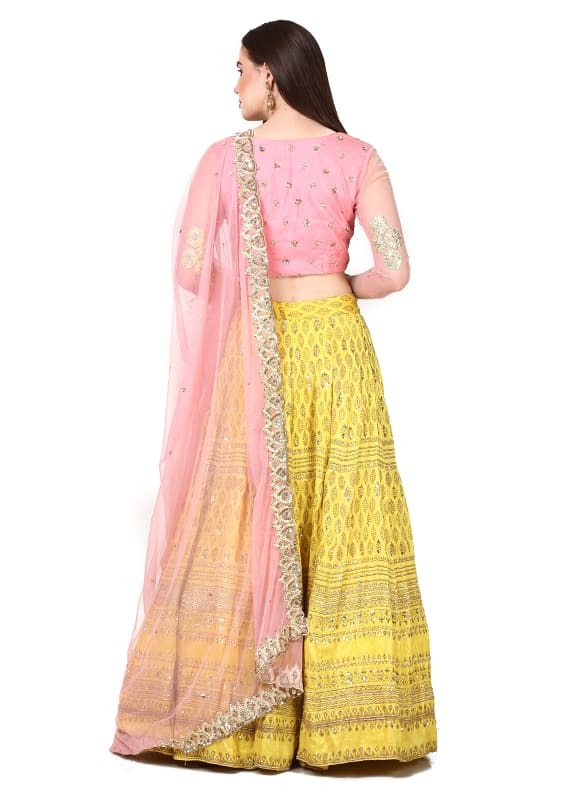 This set features a yellow raw silk lehenga with block printing and hand embroidery. 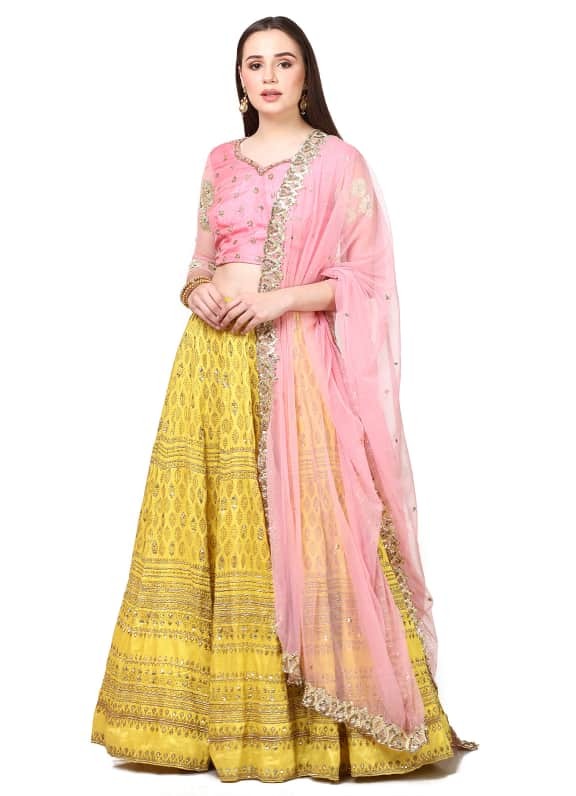 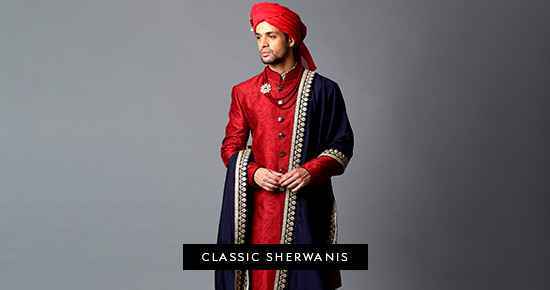 It is paired with a pink poly silk blouse and net embroidered dupatta. 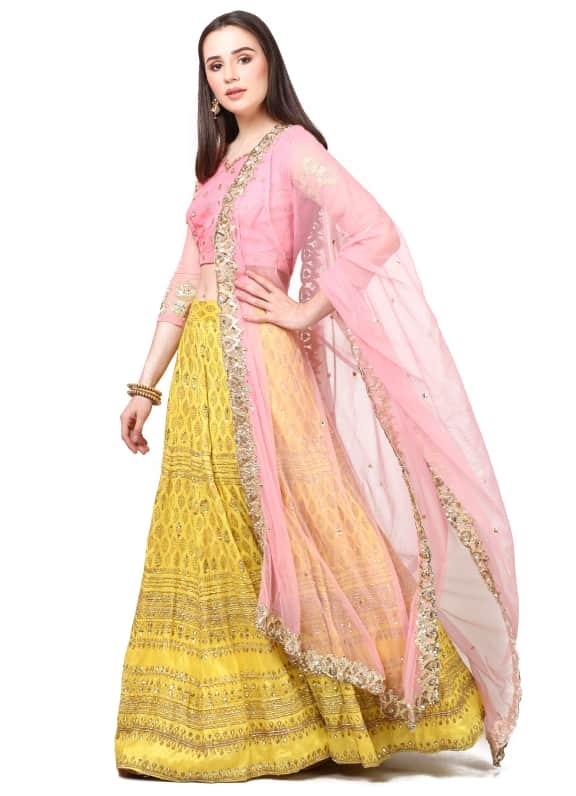 With delicate hues and intricate embroidery, this outfit makes for a perfect pick for a mehendi or engagement ceremony. 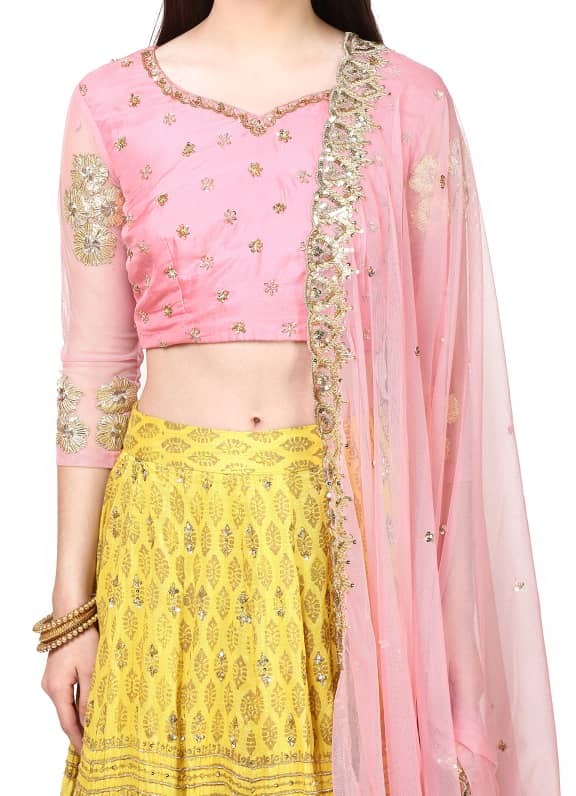 Style your look with a pair of Amethyst earrings and bangles.